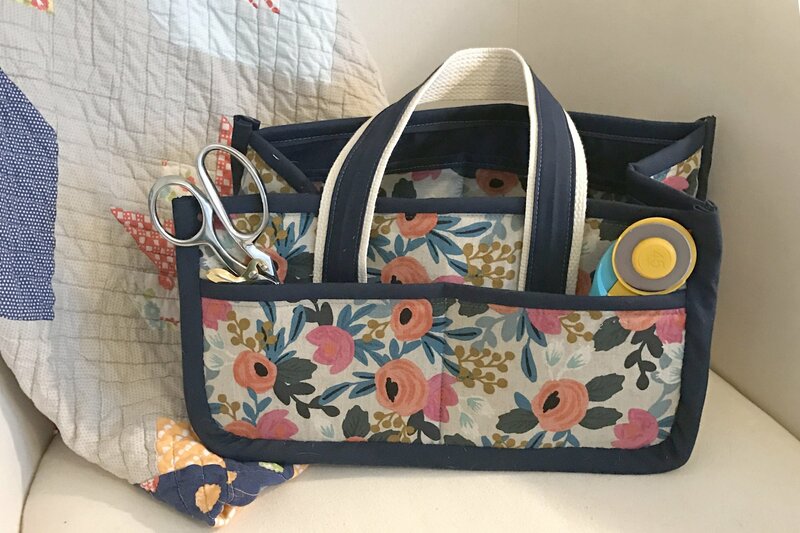 You’ll love this over-sized, sturdy caddy with lots of easy-to-access slip pockets and dividers to hold and organize all your supplies. Seven slip pockets on front, back, and one end provide easy access to tools and supplies. A zippered pocket on one end keeps personal items safe and secure. Expanding dividers on the inside open to organize a multitude of supplies or collapse to fall flat against the interior of the caddy affording a wide-open interior for plenty of storage possibilities. Comfy padded fabric handles make carrying easy and attach with rectangle rings allowing them to fall flat along the side.